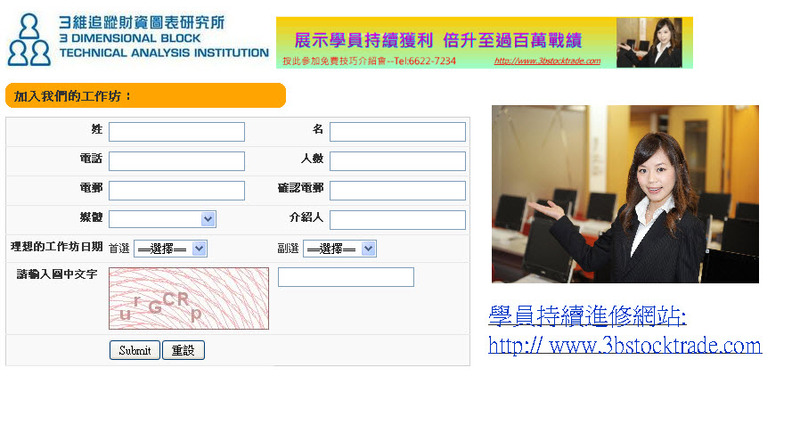 ★投資課程<3維追蹤>量化趨勢投資公開講座-港股,A股--免費TEL66227234 - 6.投資課程系列(請電66227234) --公開區 - 百萬案例☆十多年來均有學員獲利百萬☆投資課程 股票課程股票投資分析技巧 投資課程 股票分析軟件 投資課程 財經分析 投資課程 股投資入門 票討論網站: JOMAN心得分享 投資課程，投資分析教學、個股追蹤，趨勢單邊市應用、香港股票行業板塊、滬港通、深港通，Facebook，AASTOCK、恆指、國企、上證、美股、創業板 ，股票投資教學 投資課程 股票課程 - Powered by Discuz! Here is the chart showing the date of interviews or publications against the relevant annual Top or annual Bottom days of the Hang Seng index since 2009 March 9 to 2015's 28,588. 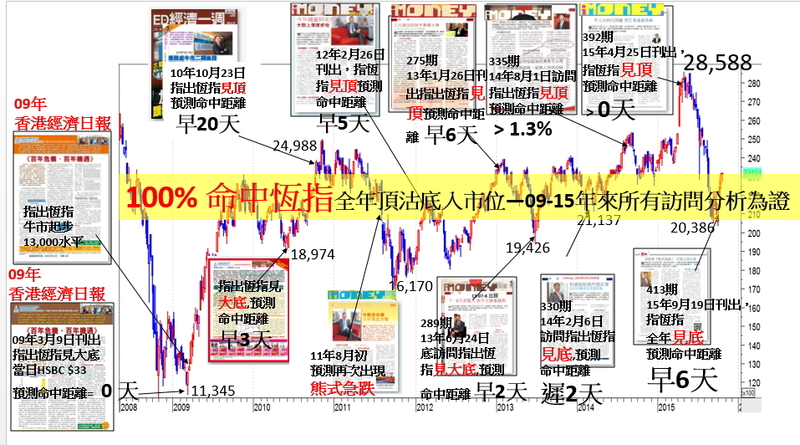 The first time of the article publicized on the newspaper was 9 March 2009, of which HSBC closed at $33. 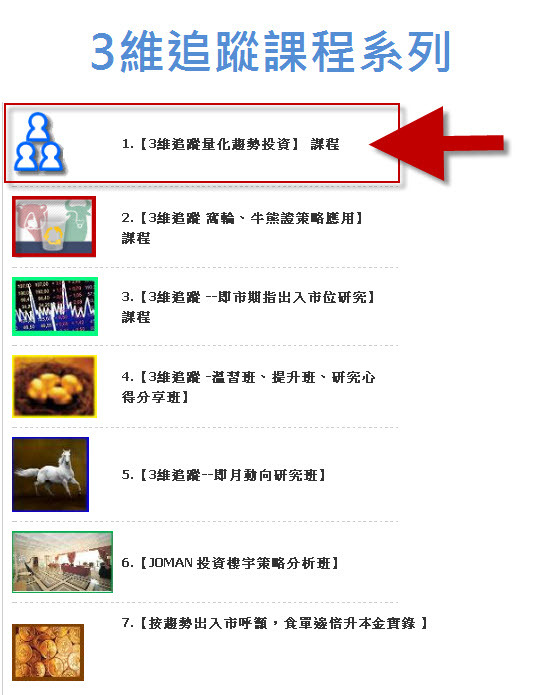 The title of the article was <百年危機 百年機遇> promoting the best chance in stock market. Since then, there were 6 articles followed to boost up that idea. That day was the starting point of Hang Seng Index rose 14,000 points lasting for 1.5 year almost. The theory of 3B is my invented theory, which is proven 100% successfully rate in predicting the top and lowest point of the stock market.